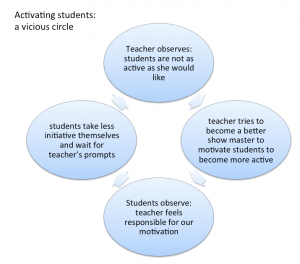 Activating students – a vicious circle? Can we become “too motivating”? One thing I’ve been pondering recently are vicious circles, especially in teaching and learning contexts. You observe that your students are not as active as you would like them to be. Hence you change something in your teaching to make them become more active: You act more entertaining, you include more peer instruction, you add clickers. Initially, your students respond, but then you notice that the more effort you put into keeping them active, the less activity they show by themselves. Hence you become even more active. 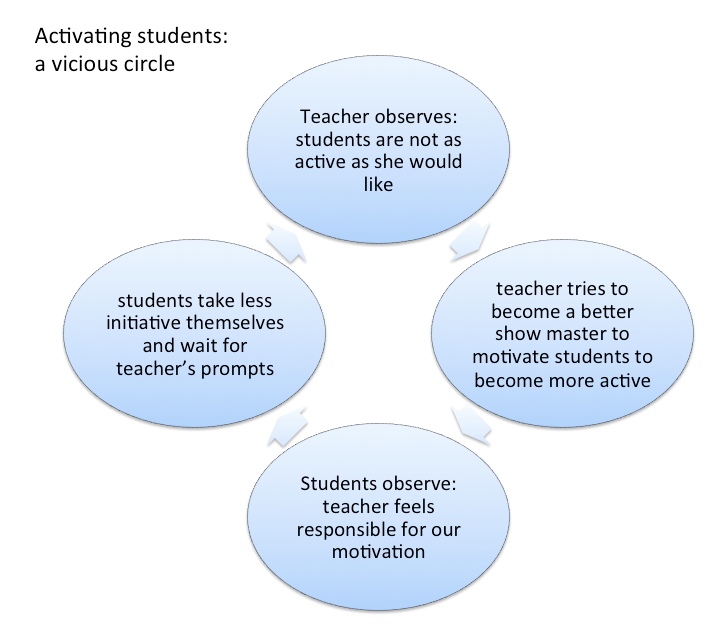 Motivating students – a vicious circle? You might have gotten caught in a vicious circle. 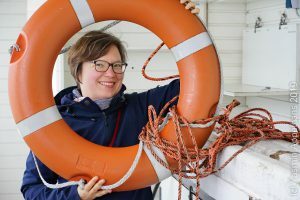 So how do you get out again and make them take on responsibility for their own learning? The first thing to note with vicious circles is that you are caught in one. And that even though there are several players in a vicious circle, you can only influence what you do in reaction to the other player, and how you interpret their reaction. So even though they seem to expect more entertainment from you, that does not mean that you have to provide it. A good start would be to decide for yourself how far you want to go in “activating” your students, and from which point onwards you think they should really take on the responsibility themselves. And then, all you can do is stick to your decision. Sorry ;-) No, kidding. Basically you’ll have to help them find intrinsic motivation. Which sounds contradictory in itself. But we’ll talk about your options in a later post. This entry was posted in method and tagged active learning, vicious circle on March 27, 2015 by mglessmer.